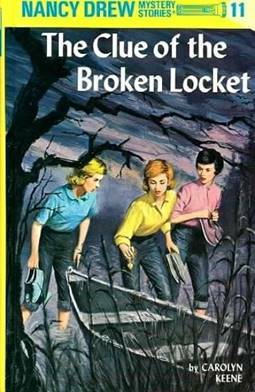 I don’t know if this counts as my favorite ‘book’ but I was obsessed with any and all things Nancy Drew. I read every single hard cover published (sometimes twice) until they went to paperback. I loved the mysteries that involved her boyfriend (Ned) and her best girlfriends (Bess and George). She was the daughter of a busy single dad which I thought was cool at the time because she had a lot of ‘freedom’ to investigate all these mysteries. Nancy had two major impacts on my life: 1) once I was able to learn to drive I didn’t know where I was going because I had my face in a book every time we got into the car and 2) Nancy, in partnership with Clarice Starling, was influential in my choice of my Criminal Justice college major. Charlotte's Web: Simple but profound thoughts for everyday life as well as a glimpse into deeper more spiritual realms of our existence: “Why did you do all this for me?” he asked. “I don't deserve it. I've never done anything for you.” “You have been my friend,” replied Charlotte. “That in itself is a tremendous thing.”; “I wove my webs for you because I liked you. After all, what's a life, anyway? We're born, we live a little while, we die. A spider's life can't help being something of a mess, with all this trapping and eating flies. By helping you, perhaps I was trying to lift up my life a trifle. Heaven knows anyone's life can stand a little of that.” I remember those quotes standing out to me even as a child. I'm quite sure I didn't I understand what it meant on a conscious level but I can say now that I'm sure it met and very possibly exposed my child's desire for love and friendship and a more peaceful world during that time in life. Ironically, it also sends the message that oftentimes there is a cost to it as well. The Boxcar Children! I remember thinking they were living an exciting and adventurous life. I was extremely disappointed several years later to see the inside of a boxcar! Readers Digest’s The World’s Best Fairy Tales from 1967. Ali Baba and the Forty Thieves, Billy Beg and His Bull, Rumpelstiltskin, The Musicians of Bremen, Blue Beard, and The Princess on the Glass Hill were some of my favorites. Also, Louis L’amour, Jack London, and Mark Twain.